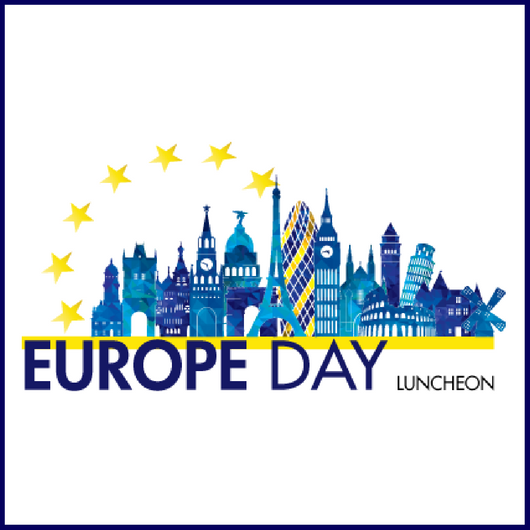 On Friday 3 May 2019, EuroCham will celebrate the 69th anniversary of the Schuman Declaration of 1950 that led to the creation of the European Union. About 200 guests, including Singaporean government representatives, CEOs and managing directors of major European and Singaporean companies, the diplomatic circle and the media, attend this prestigious luncheon. Mr Heng Swee Keat is the Minister for Finance and Member of Parliament for Tampines GRC. The Ministry of Finance manages the national budget, oversees corporate governance regulations, and supervises the prudent investment and utilisation of public funds and government reserves. Mr Heng co-chaired the Committee on the Future Economy (CFE), which charted the strategies for Singapore’s next phase of growth. He chairs the tripartite Future Economy Council, which oversees the implementation of national strategies in areas such as skills and capabilities development, innovation and productivity, and industry transformation. He is also the Chairman of the National Research Foundation, which sets the direction for Singapore’s research, innovation and enterprise strategies. Before this, Mr Heng served as Minister for Education from 2011 to 2015. He drove programmes for a student-centric, values-driven education system, emphasising the holistic development of students and multiple educational pathways. While at MOE, Mr Heng also led Our Singapore Conversation, a national consultation exercise that reached out to close to 50,000 Singaporeans on their aspirations for Singapore’s future. In 2015, he chaired the Singapore 50 (SG50) Steering Committee leading the celebrations for Singapore’s Golden Jubilee. Prior to entering politics in May 2011, Mr Heng was the Managing Director of the Monetary Authority of Singapore (MAS), where he received the “Central Bank Governor of the Year in Asia-Pacific” Award by the British magazine The Banker. He has served in various other public service positions, including appointments in the Singapore Police Force, as the Permanent Secretary of the Ministry of Trade and Industry, as the Chief Executive Officer of the Trade Development Board, and as the Principal Private Secretary to then-Senior Minister Lee Kuan Yew from 1997 to 2000. In 2001, Mr Heng was awarded the Gold Medal in Public Administration, and the Meritorious Medal in 2010 for his contribution to the public service in Singapore. Mr Heng has an MA in Economics from Cambridge University. He also holds a Masters in Public Administration from the Kennedy School of Government, Harvard University. Lin Xueling is the executive producer and presenter of Channel NewsAsia’s leading interview show “Conversation With” that has been running for 20 years. Before joining Channel NewsAsia, Lin worked as a financial journalist for more than a decade at Dow Jones Newswires – where she covered the launch of the euro, crucial EU referenda in various European countries, as well as major bribery scandals in the oil and gas sector. Lin recently won 2018 Best Current Affairs Presenter for Singapore at the Asian Academy Creative Awards. As the lead journalist of “Conversation With” Lin has had exclusive interviews with US Secretary of State Mike Pompeo, Japanese Foreign Minister Taro Kono, Myanmar State Counsellor Aung San Suu Kyi, President Joko Widodo of Indonesia, Russian Foreign Minister Sergey Lavrov as well as former US President Barack Obama, while he was still in office. Lin read Law at Girton College, Cambridge, and she was born in Oxford. A four-course lunch will be served. Seats are limited – First come first served base.